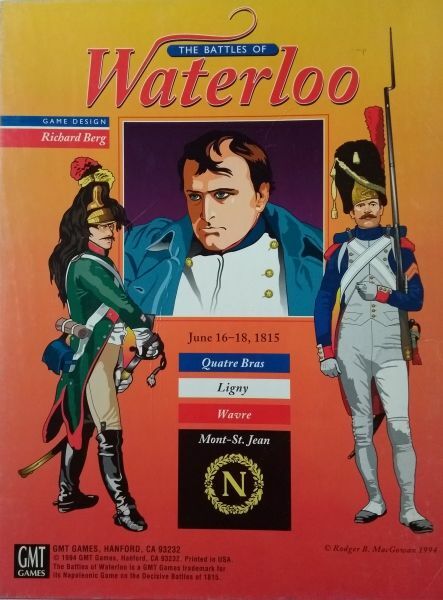 Produktinformationen "The Battles of Waterloo (EN)"
Das aus Amerika stammende The Battles of Waterloo erschien im Jahr 1994 im Hause GMT Games. Es handelt sich um ein komplexes Stategiespiel in englischer Sprache. New Turn Sequence that elegantly integrates Command, Coordination and Control with play tension: the LIM (Leader Initiative Marker) system. Lower-level command ability represented by Cohesion and Commitment. Combined Arms approach to effective combat tactics. Grand Battery, Square, Cavalry Pursuit, Napoleon's Health, Special Chateau Defense rules and more. The most exciting, colorful and playable Napoleonic system in years! Weiterführende Links zu "The Battles of Waterloo (EN)"
Kundenbewertungen für "The Battles of Waterloo (EN)"